Perfect for contemporary designs, aluminium can be used to give a modern and industrial style aspect, or made to look just like timber. 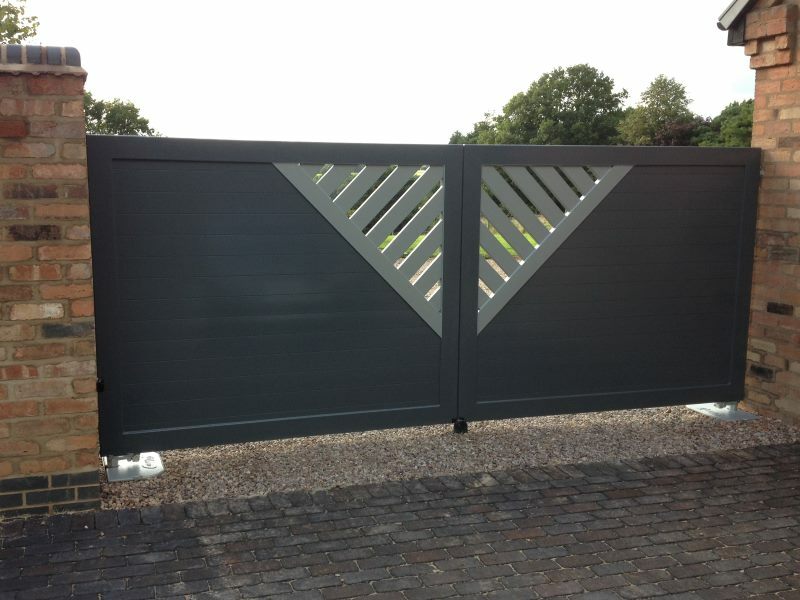 A gate for all seasons Aluminium is the fastest growing trend in the UK for electric gates. 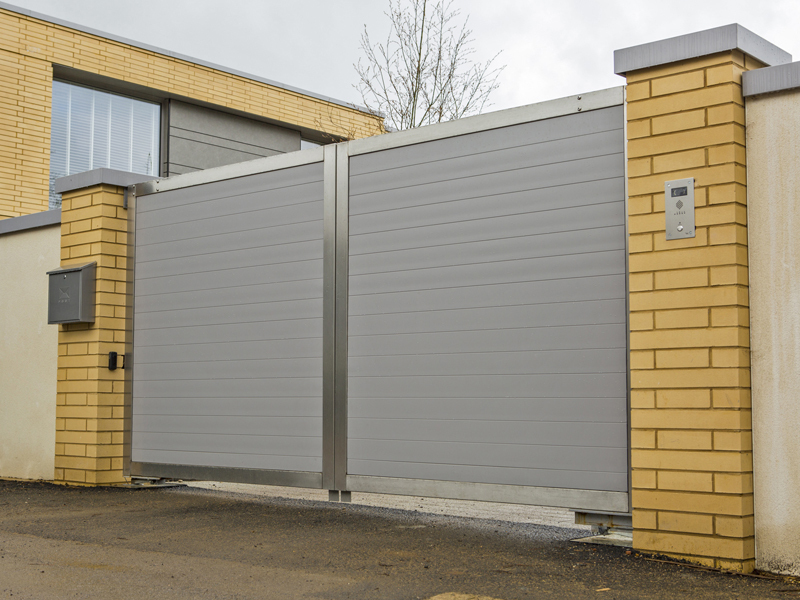 As solid and long-lasting as steel, aluminium gates will never drop, warp, twist or crack, and they’re low maintenance to own. They also offer exceptional flexibility in terms of design. They lend themselves well to distinctive, cutting-edge styles, but can also be given the natural appearance of timber. We can manufacture top quality swing or sliding aluminium gates for any size of opening. Fabulous looking driveway gates that stand the test of time. Made in the UK by experienced professional metalworkers, our aluminium gates are fast becoming our most popular range. 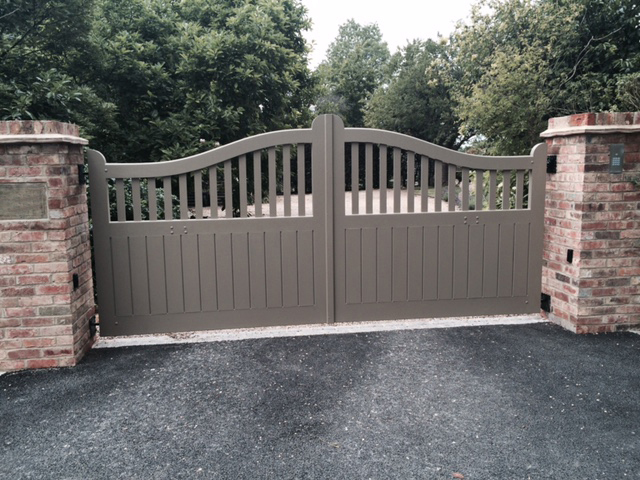 Demand for electric gates with a more up-to-date look and feel is on the increase. 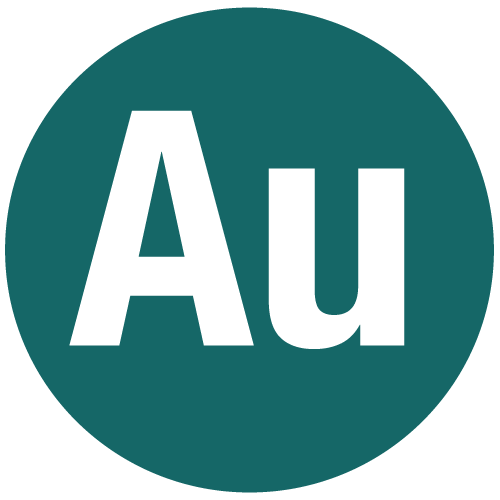 Aluminium is the perfect material to use to express your unique style. Timber gates can warp, drop, twist and even crack over time with the effect of changing weather and climate conditions. 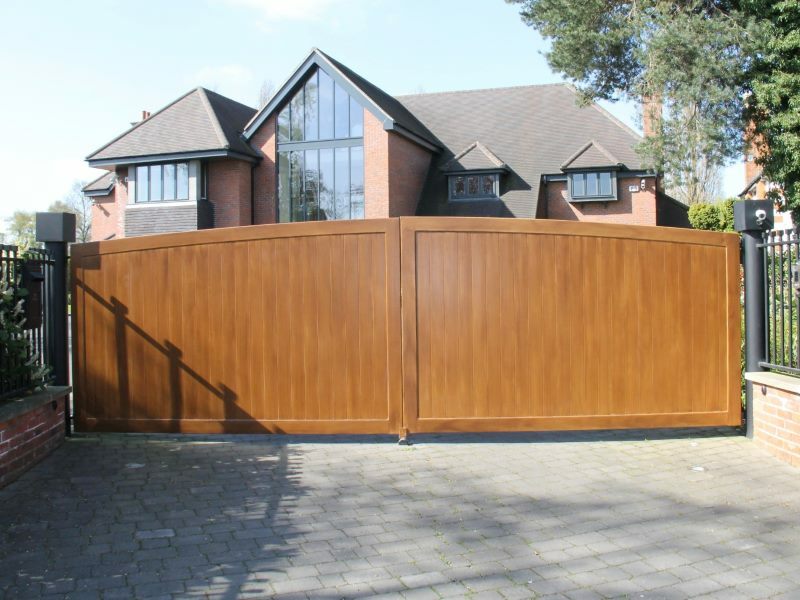 Our aluminium gates can be made to look like timber, but have the longevity of steel gates.